« Is Your Car Ready for Winter’s First Punch? An annual event, signifying the holidays are just around the corner, is being held this weekend. 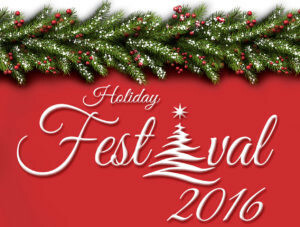 The Winner Regional Foundation Board’s annual Holiday Festival will be held Saturday, Dec. 3, at St. Mary’s Hall. The event kicks off with a wine and beer social at 5 p.m. followed by dinner at 6:30. Throughout the evening, many fun activities take place, all in the name of charity. The purpose of the Holiday Festival is to raise money to advance the quality of healthcare in the region through the support of Winner Regional Healthcare Center. All of the proceeds from this year’s Festival will go towards helping raise the necessary $3 million in local donations for Winner Regional’s expansion and renovation project. There are several opportunities throughout the night to help support this very worthwhile cause. The Merry and Bright Ornament Sale is an opportunity to purchase 1 of 100 ornaments for $20. Each ornament is entered into a drawing to win 1 of 10 great prizes. Ten of Santa’s best stockings are up for auction throughout the night. Each stocking ranges in value from $300 to over $500 in cash or merchandise! A very popular fundraiser is the 12 Days of Christmas. Twelve beautiful ornaments are sold throughout the Live Auction and one winner’s name will be drawn to win the grand prize of a 15 piece Real Life Nativity Creche. Bubbles and Bling is an exciting fundraiser that pairs champagne and diamonds! 200 glasses of champagne will be sold for $20 each. Each glass is numbered and two numbers will be drawn as the lucky winners of stunning diamond jewelry pieces. Each year, various community partners are extremely generous in their support of the Holiday Festival and donate a wide variety of wonderful items for the Silent and Live Auctions held at the Festival. Items range from the latest in flat screen TVs, to shotguns and unique, handcrafted furniture. Following the Live Auction, guests can celebrate with dancing to the Tami Hall Band or simply enjoy the music and holiday atmosphere. “We have a lovely meal planned, a beautiful, festive atmosphere created and many wonderful items to win. It’s the perfect way to kick off the holiday season, and it’s all for a great cause!” stated Jody Engel, foundation director.